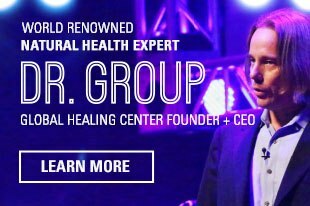 Fluoride is a known endocrine disruptor and other evidence shows fluoride is even a neurotoxin. Unfortunately, it’s still used in many dental products to this day, and the potential health problems are unavoidable. 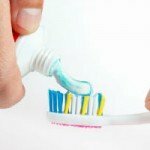 Fortunately, when it comes to oral health, there are several fluoride-free alternatives. Protecting your teeth and gums requires time, commitment, and the right tools. Brushing your teeth, flossing, and limiting sugar intake are all key. 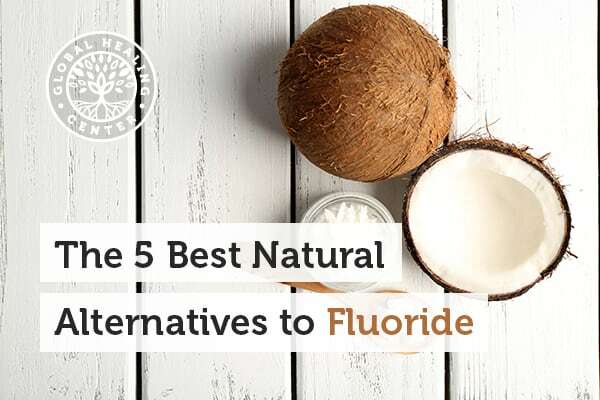 Although fluoride is often touted as a must it doesn’t hold a candle to natural alternatives. Here are five supplements to consider adding to your oral health regimen. Neem is amazing. One study suggests a neem mouthwash could even outperform a traditional dental product when it comes to reducing plaque! Other studies suggest it has almost miraculous properties when it comes to approaching gingivitis. If you want to check it out, one easy way is to look for fluoride-free toothpaste with neem leaf extract. Coconut oil already has antibacterial properties and is much safer than the endocrine-disrupting triclosan found in many brands of fluoridated toothpaste. You can even use coconut oil as a toothpaste if you like! Research suggests it can slow the growth of some bacteria that can lead to tooth decay. Another study suggests oil pulling – or oil swishing – with coconut oil can also lead to a significant decrease in overall plaque. Olive oil has long been hailed for its moisturizing benefits, and this type takes that one step further with a process called ozone injection. This process bubbles ozone into the liquid for quite a while before it even gets to you. Ozonated olive oil is just one way we can use dental ozone therapy. 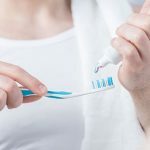 One study even suggests this therapy could be more effective than traditional dental methods, so why not try the best of both worlds with a product like O2-Zap® Ozonated Olive Oil paired with a fluoride-free toothpaste. Oregano oil is one of those items with a million uses, and promoting oral health is one of them. Oregano oil can be highly beneficial for dental issues and can be used to soothe toothaches, abscesses, and mouth sores. 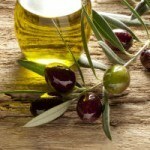 Because of its potency, though, always be sure that you dilute it with something like olive oil. You can even use it as a mouthwash, spitting it out after you’ve swished it around your mouth. For a highly-quality organic oregano oil, I recommend Oregatrex™, our oregano oil blend. Used to combat bad breath, myrrh can be found in some fluoride-free toothpaste brands. One of the compounds in myrrh is toxic to all the things that can cause bad breath. 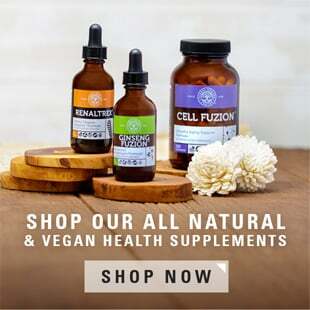 And, like many of the supplements listed here, it could also help with gum health. Research shows it’s effective in fighting periodontal disease. A high-quality product like Fresh Mouth contains myrrh and a blend of other ingredients that support a healthy mouth. How Do You Protect Your Teeth & Gums? With all the options out there, there’s absolutely no reason that you have to use fluoride anymore. Myrrh, coconut oil, and neem are just as effective, if not more, and present relatively little side effects. Fresh Mouth™ is one product that you can use that contains many different herbal extracts designed specifically for dental health. Other things you can do is to drink plenty of water, avoid high-carbohydrate beverages like soda and juice, and brush your teeth twice a day with fluoride-free toothpaste. Also, be sure you are getting plenty of vitamin D, because this vitamin can be helpful for supporting teeth and gum health. What do you use for fluoride-free dental care? Tell us all about it in the comments below! Chatterjee A, et al. To evaluate the antigingivitis and antiplaque effect of an Azadirachta indica (neem) mouthrinse on plaque induced gingivitis: A double-blind, randomized, controlled trial. Journal of Indian Society of Periodontology. 15 (4). Botelho MA, et al. 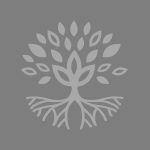 Efficacy of a mouthrinse based on leaves of the neem tree (Azadirachta indica) in the treatment of patients with chronic gingivitis: A double-blind, randomized, controlled trial. Journal of Medicinal Plants Research. 2 (11). Society for General Microbiology. Coconut oil could combat tooth decay. ScienceDaily. Peedikayil FC, et al. Effect of coconut oil in plaque related gingivitis — A preliminary report. Nigerian Medical Journal. 56 (2). Saini R. Ozone therapy in dentistry: A strategic review. Journal of Natural Science, Biology, and Medicine. 2 (2). Nomicos EY. Myrrh: medical marvel or myth of the Magi? Holistic Nursing Practice. 21 (6).